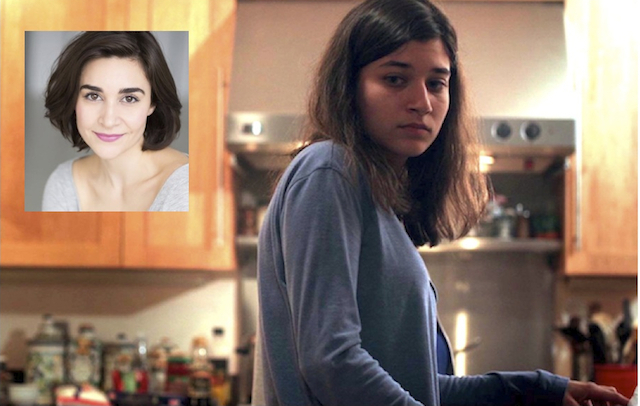 WASHINGTON, DC – Chicago took home a bit of gold on August 26th, 2018, as local filmmaker Oriana Oppice was awarded Best Director for her short film “Leia’s Army” at the Global Impact Film Festival in Washington, D.C. The film, which is a fictional overview of the Woman’s March Movement through multiple generations, is a contemporary and multi-dimensional look at families in the age of Trump. Oppice was born in Sicily and raised in Chicago. She is a veteran filmmaker and actor, having made and performed in the shorts “Lobster fra Diavolo,” “Camp Belvidere” and “Lost and Found.” She is also a community leader in film advocacy for women with her role as Director of Programming for Women in Film Chicago (WIFC). Her commitment is to elevate the visibility of women in front of and behind the camera. Photo credit: Testa Dura Media/Trinacria PicturesHer new short film “Leia’s Army” – written by Jane Barbara – concerns the voices of three generations of women during the events of the Women’s March, which took place after the inauguration of Donald Trump in January of 2017. Val (Rachel Sonvico) is an 18 year-old activist who is looking forward to the March, along with her grandmother (Ilona Dulaski). Her mother (Lisa Hodsoll) is not on board, since she is both an Evangelical Christian and worked for the Trump campaign. The three confront each other over the March, and there are also some secrets yet to be revealed. In anticipation of the festival season, Oriana Oppice of “Leia’s Army” did the following Podtalk with Patrick McDonald of HollywoodChicago.com, and spoke about the context of the film and how managing a film set has evolved for her.